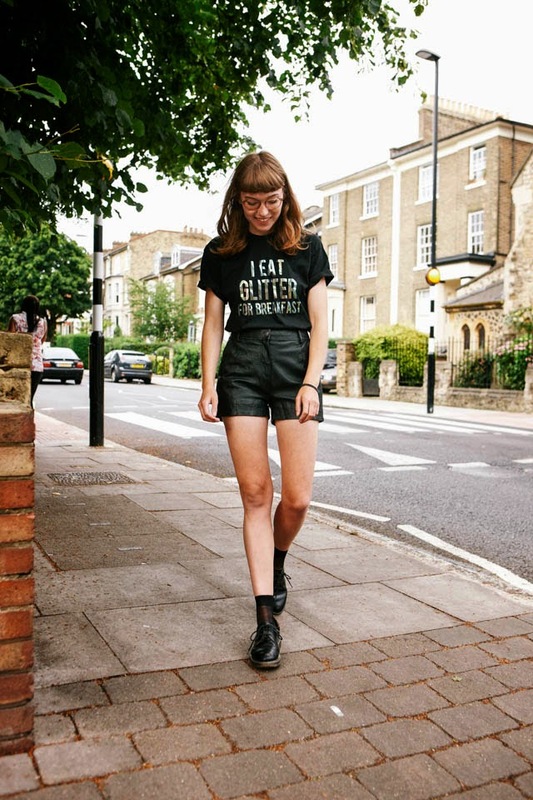 I was recently sent this super cool t-shirt* from LOVE fashion; I actually took it to glastonbury as I wanted to wear it and shoot it for you guys there, but most days, despite the on off pouring rain, it was boiling hot so I didn't want to wear black. 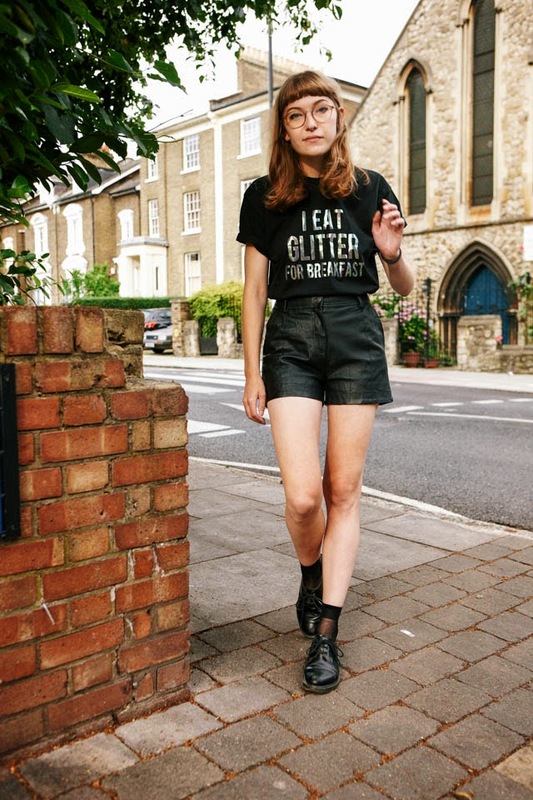 Speaking of Glastonbury, Lookbook kindly featured my experience over on their editorial blog, so feel free to pop over for a look! Here I've gone for an all black ensemble with PU leather shorts, which I picked up ages ago in the River Island sale, black ankle socks and Dr Martens shoes. 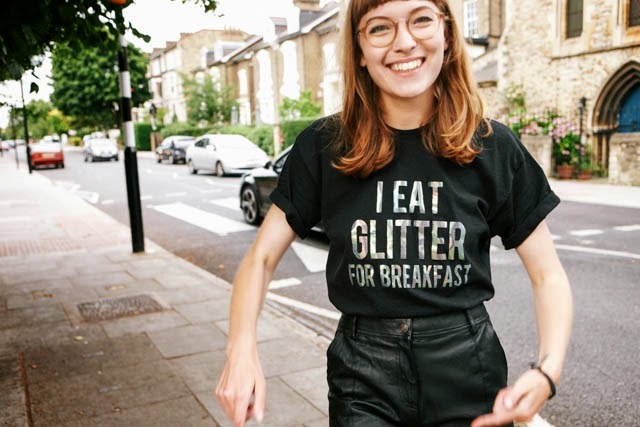 Aww, I love your shirt!